Whether you’re on the prowl for a latex mattress or just want to learn more about the material in general, the Best Latex Mattress 2018 page is for you! We’ll dive into some of the unique characteristics of the classic bedding material, discuss some of our personal faves by category, and then wrap up with a few fabulous latex alternatives. While all of these mattresses share a common material in latex foam, that doesn’t mean they all feel the same. We’ve put all of these mattresses to the test and have some suggestions on why certain mattresses will work better for different types of sleepers and have categorized them below. This doesn’t mean you shouldn’t read up on a few other, but we think it’s the best place to start. But enough chat! Let’s get our journey started. Now that we’ve gotten the nuts and bolts out of the way, let’s take a look at some of our favorite latex foam mattresses by category. Feel free to navigate to the section that speaks to you most using the links below. Over the past decade or so, latex foam has become a material as synonymous with mattress design as traditional go-tos like memory foam and innerspring. In fact, latex kind of lands somewhere between these two, as its known for both its buoyant support and pressure-relieving softness. To get a little more scientific, latex is considered a natural foam made from a milky substance derived from the hevea-brasilienis rubber tree, which is removed in a process similar to maple tapping. When transformed into a foam, this substance produces a proliferation of tiny air bubbles, giving latex its soft and bouncy texture. 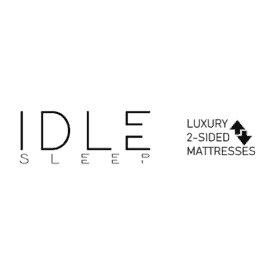 There are two main types of latex manufactured using this process: Dunlop latex and Talalay latex. The former has a denser feel to it as it’s formed in a single pour, while the latter has an aierier texture thanks to the fact that it’s vacuumed halfway through production. Though both types of latex are comprised of organic components, only Dunlop latex is 100% all-natural. Typically speaking, an organic latex mattress will be comprised of three to four distinct layers of latex over-laid by a cotton cover. The various latex layers will feature varying firmness levels, allowing for an interplay between pressure relief and support. 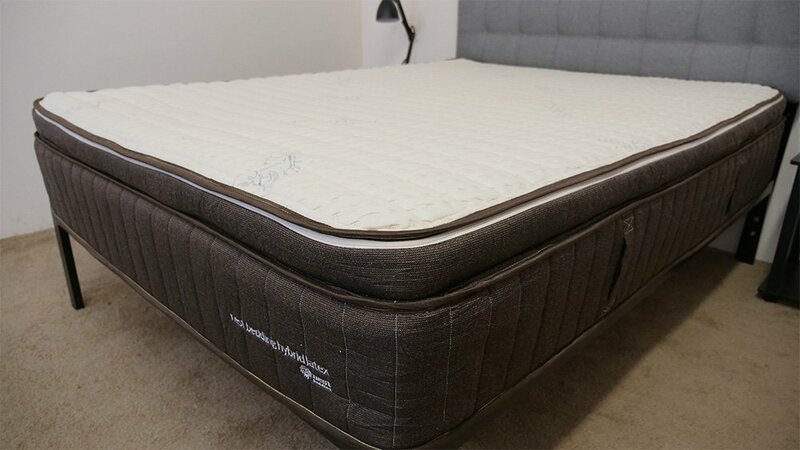 While different brands will always put their unique spin on the classic latex mattress, almost all of them feature excellent bounce, terrific temperature regulation, and a gentle feel. If you’re a strict side sleeper looking to get your hands on a fabulous latex mattress, consider checking out the Zenhaven. 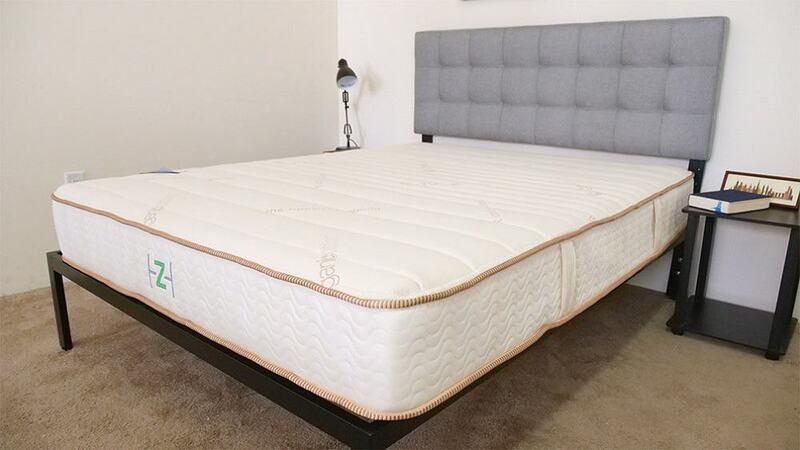 Built with four layers of gentle Talalay latex, this bed has all the bouncy support you’d expect from an all-latex mattress while also providing the sleeper with some fantastic pressure relief. A great thing about this bed is that it’s actually flippable, so you can have either a Gentle Firm feel or a Luxury Plush feel depending on how you orient the mattress. 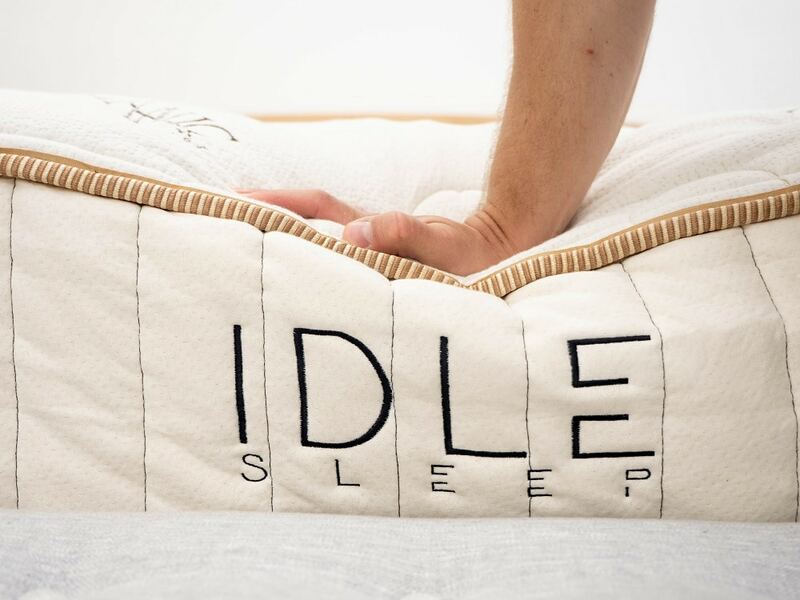 Side sleepers will be best served by the Luxury Plush configuration as the order of the layers has been optimized to provide cushiony support to the shoulders and hips. Curious to learn more? 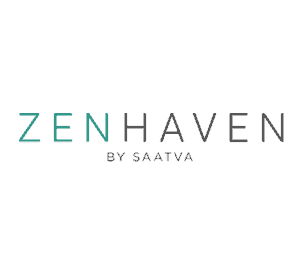 Check out my full review of the Zenhaven mattress, here. While an all-latex bed will often bring you all the bouncy support you could ever want, some of you out there will want to double down on this lift by combining it with a pocketed coil system. There are a lot of latex hybrids on the market, but our favorite is the Idle, a flippable bed designed with comfort in mind. Compared with other hybrids I’ve tested, I was particularly impressed with the Idle’s cooling and its ability to provide pressure relief without that stuck-in-the-bed feeling you’d get from other materials. It also features excellent edge support, which means you’ll likely be able to use the entire surface area of the mattress, a plus for those who share their bed with a partner. Sound like a winner? 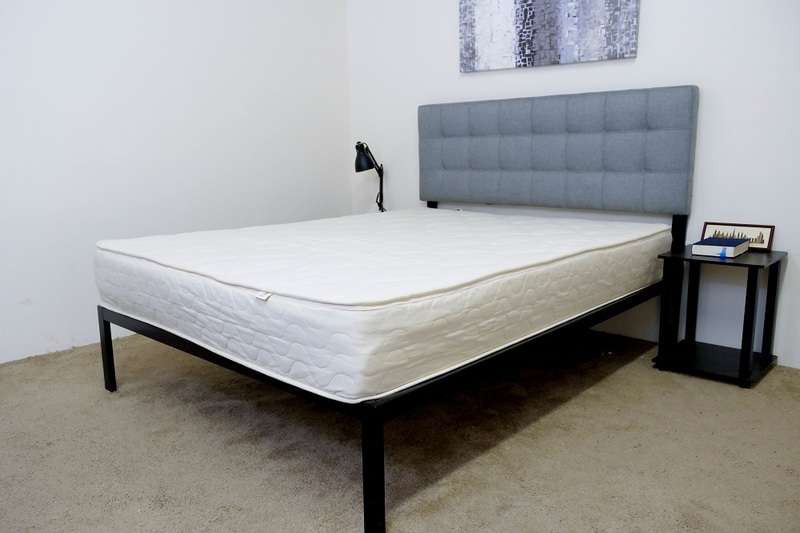 Take a look at my full review of the Idle mattress. For those of you who want a latex mattress but aren’t really sure what firmness level you want to go with, you might want to consider investing in a flippable bed. Of the many we’ve reviewed, our pick is the Latex for Less mattress, which combines just two layers of latex for a supremely comfortable sleep. What’s interesting about the Latex for Less bed is that it utilizes both Talalay and Dunlop latex, therefore creating a bouncy structure that’s as airy as it is dense. When oriented with the Talalay latex on top, the bed provides immediate comfort and pressure relief. In the opposite configuration, the sleeper will likely experience some solid support that’ll keep them positioned on top of the bed. To learn more about the Latex for Less mattress, check out my full review. Searching for a latex mattress but don’t want to break the bank doing it? Look no further than the Sleep EZ Roma, our value pick for the best latex mattress 2018. Outfitted with a single, thick layer of all-natural Dunlop latex, the Sleep EZ Roma is an extremely bouncy bed that sleeps cool throughout the night. It’s also a totally organic latex mattress, which could be a big plus for you eco-friendly sleepers out there. Combine all these features together with a Queen size price tag of $995 and you’ve got the makings of a great latex bed. Get the full scoop on my full review of the Sleep EZ Roma mattress, here. 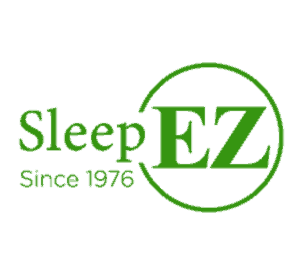 Made entirely from all-natural materials, the Sleep EZ Roma mattress is ideal for eco-friendly sleepers! For something a little different, check out the Spindle mattress, our pick for the best adjustable latex bed of 2018. Built with three distinct layers of all-natural latex, the sections can be oriented however you choose for whatever feel your heart desires. The way it works is this: you log onto the website, answer a few questions (detailing your height, weight and sleep preferences) and the company sends you a customized parcel of three latex layers, which you’ll then assemble at home. While these sections are a bit floppy, they’re not too hard to assemble and really do make for some lovely customized comfort. Want to see more? 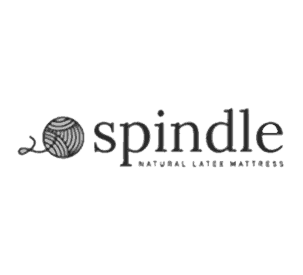 Dive into my full review of the Spindle mattress. 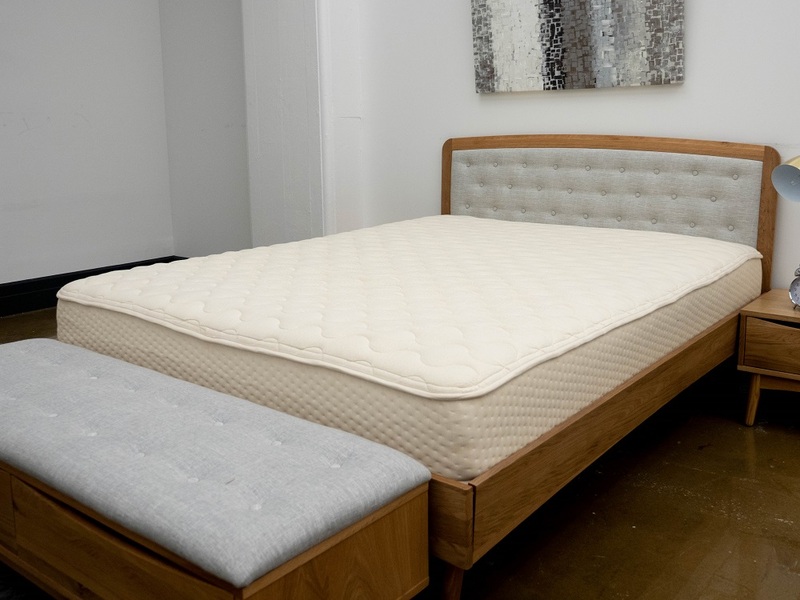 If it’s important for you to have an organic latex mattress, we recommend checking out the PlushBeds Botanical Bliss. Built with organic cotton, all-natural wool, and Dunlop latex, this mattress is as eco-friendly as it is comfortable. Another interesting feature of the Botanical Bliss is that it’s three-layer construction is adjustable. 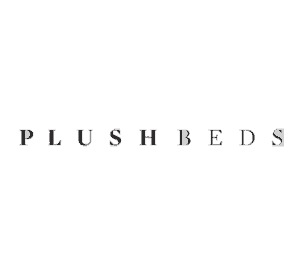 According to PlushBeds, there are a total of six different firmnesses for each mattress, with a split firmness option available for King and Cal King sizes. 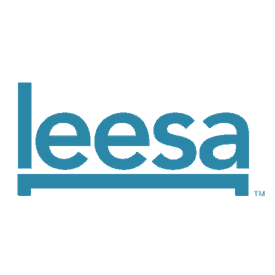 In case you’re not sure how you want to orient your layers, the brand’s website features easy-to-read graphics that detail all the various configurations available. Think this could be the mattress for you? Scope out my full review, here. Contrary to popular belief, a latex foam mattress doesn’t have to be made of just latex. 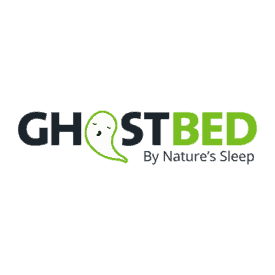 In fact, one of our favorites right now is the Ghostbed, which combines latex with memory foam for a bouncy yet pressure-relieving sleep. What’s great about this mixture of materials is that you really get a lot of bang for your buck by avoiding the most common latex mattress complaints i.e. all bounce with no body contouring. Here, you’ll get a buoyant lift from the latex, but also some deep sinkage from the memory foam layer nestled right beneath it. Plus the bed also features awesome edge support and motion transfer results, which means it could be a solid pick for couples. Eager to see more? Give my review the once over. And if you’re curious for more of a break down between Latex vs Memory Foam, check out our take on the subject. 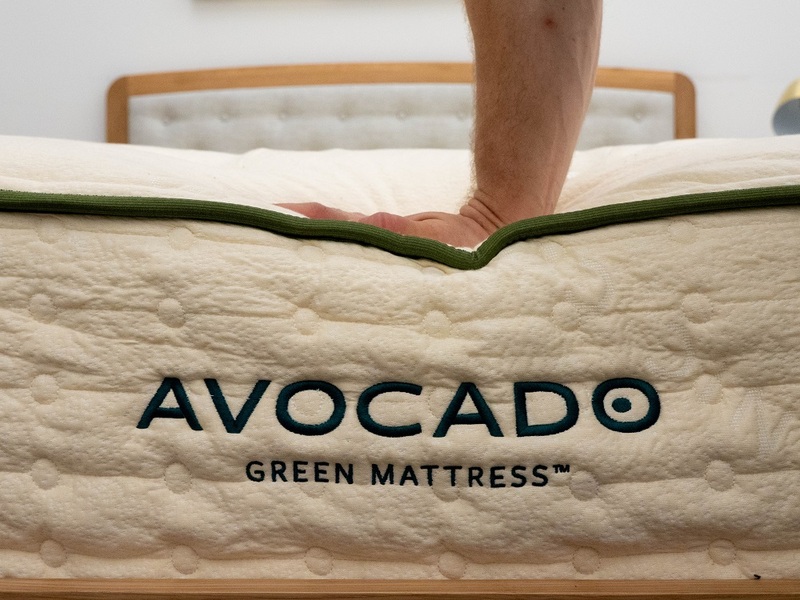 Another fantastic eco-friendly latex option is the Avocado mattress. 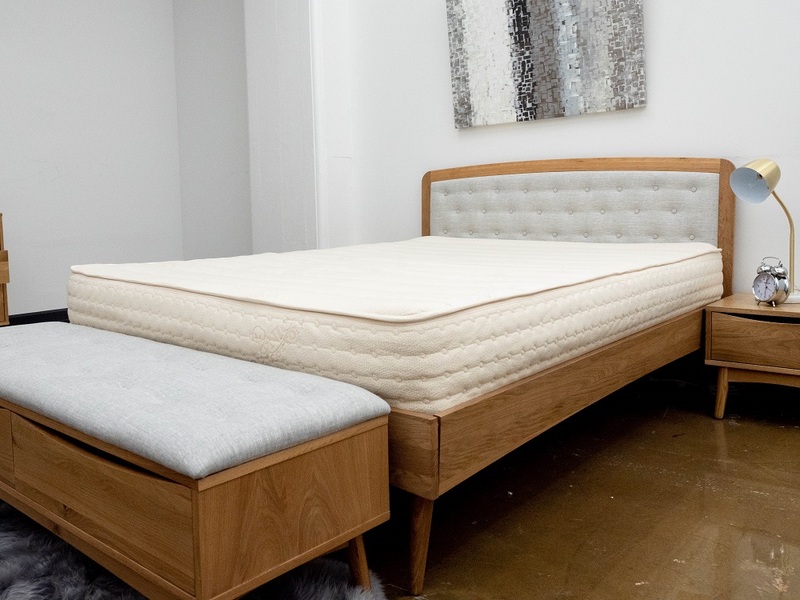 Outfitted with organic cotton, all-natural latex, and a pocketed coil system, this bed is one of the bounciest on this list and could be a nice choice for anyone who wants to be firmly positioned on top of their mattress. In addition to the organic construction and fantastic bounce, the bed is also incredibly durable, which means it’ll last for a long time. While it may not be a great pick for side sleepers, this mattress could make a wonderful addition to any stomach sleeper’s bedroom. 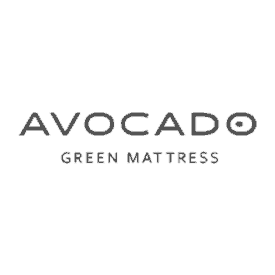 Learn more at my full review of the Avocado mattress. Composed of all-natural latex and pocketed coils, the Avocado is as eco-friendly as it is comfortable. Save $100 off your purchase with our exclusive discount! While the picks up top are our absolute favorite latex foam mattresses of the year, they’re not the only ones on the market, so I’m going to include just a few more recs on this list. These won’t be broken down into any specific categories, but are definitely still super solid beds. If you like the idea of an organic latex hybrid but think the Avocado might be a bit too firm, consider the Brentwood Cedar mattress. It also features organic wool, cotton, and latex, but has an overall softer vibe with an average firmness rating of 5.75/10. Additionally, the Brentwood Cedar benefits from a layer of zoned support in its pocketed coil system, which brings some great pressure relief to the spine and lower back. The second layer of latex foam also features a series of long channels, which encourage airflow and breathability throughout the structure. 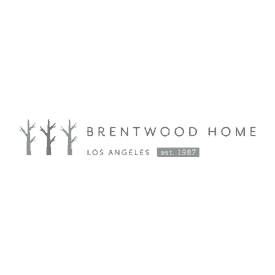 Read my full review of the Brentwood Cedar mattress, here. 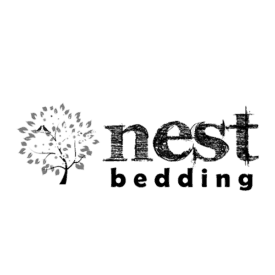 Built with just two layers of latex foam and pocketed coils, the Nest Hybrid Latex is a buoyant structure that’s well-suited for the sleeper in search of firm support. 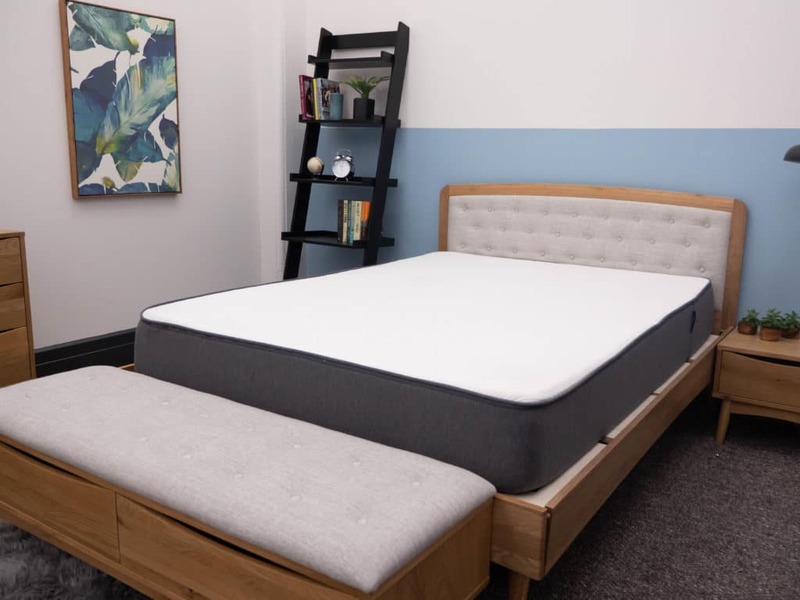 Since the mattress utilizes airy Talalay latex and a very tall 8” system of pocketed coils, a big selling point for the bed is how cool it sleeps. While latex is always going to be better at regulating temperature than memory foam, the combo of the material with the coils is going to create a pleasant, breathable sleep experience all night long. Interested to see more? Pop on over to my full review. After scrolling through this guide, you may have realized that you like all the great features of a latex bed, but don’t necessarily want to invest in an all-latex structure. We totally get it: latex beds are heavy, floppy, and can sometimes be a little too bouncy. For that reason, we’ve decided to assemble some fantastic latex alternatives, which feature the buoyant support and cooling of latex, but without using the foam itself. While these beds won’t necessarily give you the same feel that a latex foam mattress would, they do get pretty close. 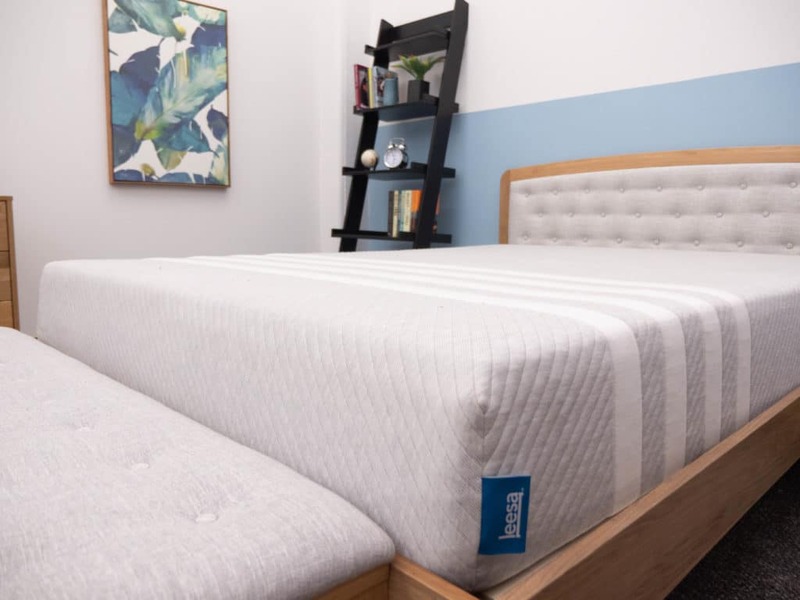 Featuring a combination of bouncy Avena foam, pressure-relieving memory foam, and durable high-density poly foam, the Leesa mattress evokes a balanced feel intended to satisfy a wide range of sleepers. You’ll see the strongest resemblance to an all-latex bed in its bouncy comfort layer, which helps to lift the sleeper up and out of the structure. This layer is also aerated with small holes, making for a breathable bed that’s going to sleep cool throughout the night. Sound like a winner? Head on over to my full review for more. 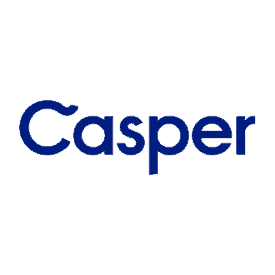 For side sleepers in search of a latex alternative, check out the updated Casper mattress. 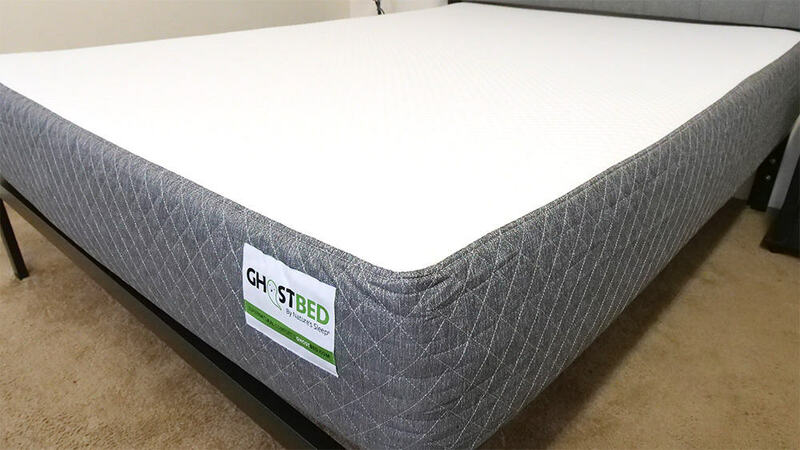 Built with four layers of memory foam, latex-like bounce foam, and high-density poly foam, the bed has a gentle feel that provides some great pressure relief to the shoulders and hips. Additionally, the bed features a layer of zoned support, which brings even more relief to sensitive areas along the spine and at the lumbar region. This coupled with the deep contouring of the memory foam layer makes it a fantastic option for anyone who likes latex, but also wants to snuggle down into their bed. For more, check out my full review of the Casper mattress. 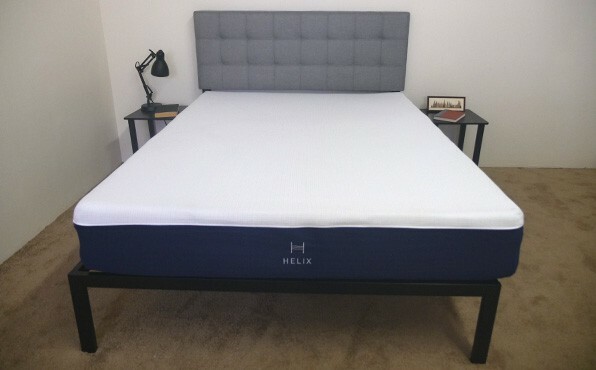 If you’re looking for a fully customized sleeping experience, Helix might just be the mattress for you as the brand specializes in crafting personalized beds for each of its customers. 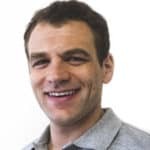 All you have to do to take advantage of this unique service is fill out a quick survey on the company’s website detailing your sleeping preferences, support needs, and any pain you’re currently experiencing. 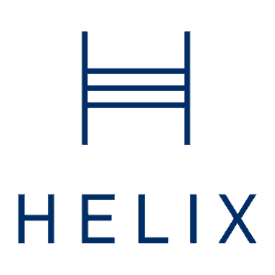 Helix will then manufacture the perfect mattress for you, using whatever sorts of materials you desire. Sound too good to be true? Learn more at my full review. 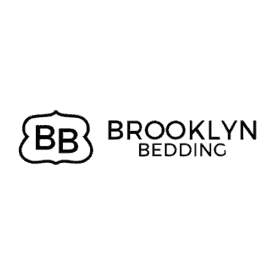 As far as latex-like hybrids are concerned, a great option could be the Brooklyn Bedding Signature. 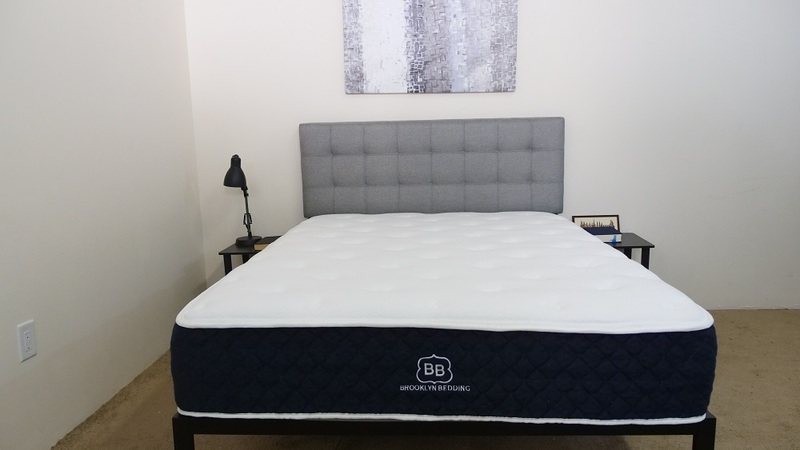 Designed with thick layers of the brand’s buoyant TitanFlex foam and pocketed coils, this is a mattress that’s as pressure-relieving as it is supportive. 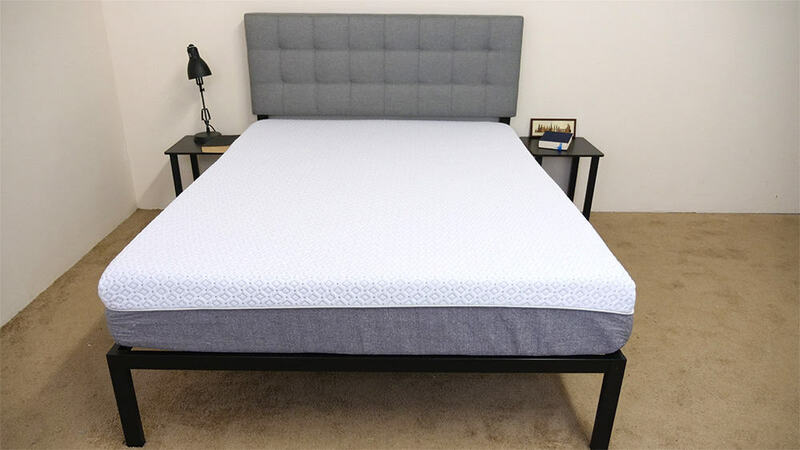 As far as for whom I’d recommend this mattress, I think it’s particularly well-suited for side sleepers who need pressure relief, but don’t necessarily want to experience that stuck-in-the-bed feeling you might get from an all-foam bed. Plus at $949 for a Queen size, this mattress also makes a great value buy. Want to see more? Stop by my full review, here. 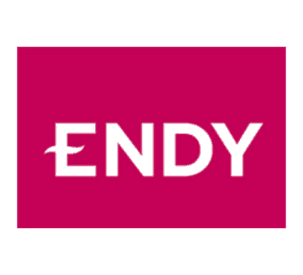 For any would-be mattress buyers in Canada, we’d recommend the Endy mattress. This soft bed is built with three layers of poly foam, which means you’re likely to really sink into it for some awesome pressure relief. Another cool thing about Endy is that its entire operation is based out of Montreal, so Canadians can rest easy knowing the brand is committed to a 100% transparent manufacturing process. I’d also note that the bed features excellent motion transfer, which means it could be a solid pick for couples. For more info on the Endy, check out my full review.